Ng says it took over 500 hours to build the suit, most of which is 3D-printed and which weighs around eight pounds, with that time being split between research, sketching, modelling, painting and, most excruciating of all, the wiring and placement of all the LEDs that help give the suit its warm, glowing effect. 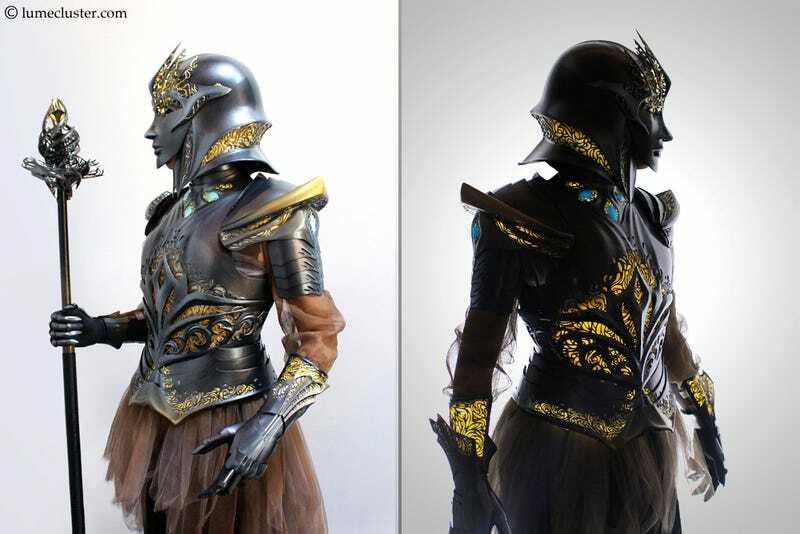 While she isn’t strictly a cosplayer, Ng says that the research she put into creating this piece of fantasy armour is something she’d love to see more of from the cosplay scene. It’s an absolutely astonishing piece of work, which needs to be seen in all its detail to be truly appreciated. The gauntlets in particular are just incredible.